Scholastic chess information and news. Congratulations to the Northwest chess players who qualified for the 2018 World Youth & Cadets! Story submitted by Seth Talyansky, email talyanskys@catlin.edu. We, the leaders of the Catlin Gabel Chess Club, investigated the circumstances of chess in Equatorial Guinea (EG), the only Spanish-speaking country in Africa, as a project for Spanish class. After Seth’s saga of efforts to connect us with people in EG, which we recount in an article for the July issue of the Northwest Chess magazine, we received a message from Mr. Federico Ele Rano, a passionate advocate for chess in Equatorial Guinea. According to him, the chess players in the country number two dozen, none FIDE-rated. The first “semi-professional” tournament in Equatorial Guinean history was held recently in Malabo, the capital. Federico is looking to establish both scholastic and general competitive chess in EG. In particular, he is seeking help with acquiring chess materials. We’re fundraising for sets, clocks, and books for donation to EG. We have created an online GoFundMe page at https://www.gofundme.com/chess-supplies-to-equatorial-guinea. Please see the July issue of NWC (when available) and/or the linked page for more information. The players at the 2017 Idaho Scholastic Champion of Champions tournament. L-R: Forrest Zeng, Dylan Porth, Kevin Xu, Bryan Li, Seth Machakos. Photo credit: Jeffrey Roland. The first-ever event of this kind in Idaho. Five players played for the Idaho Scholastic Championship title in downtown Boise, Idaho on May 27, 2017 at the Foerstel building at 249 South 16th Street in Boise, Idaho. These players qualified to play by being the top three finishers in both the Scholastic K-8 Championship (held in Boise, March 11, 2017) and the Scholastic 9-12 Championship (held in Boise, March 4, 2017), with one player from the 9-12 Championship, Thomas Connelly Reisig, not playing. It was a round robin Game/45;d5 event, rated by US Chess Federation. Jeffrey Roland was Chief Tournament Director. Alise Pemsler and Adam Porth were assistant TD’s. Seth Machakos won the event with a perfect score of 5.0/5 and is now officially the 38th Annual Idaho Scholastic Chess Champion. It was a sunny weekend but in Seaside, nearly 400 chess players were indoors contending for the Oregon Scholastic State Championships at the Seaside Convention Center. Coos County had nine Coquille, two Myrtle Point and one North Bend player participating. Joshua Grabinsky rated 2099 and listed as an Expert was the #1 seed stumbled early in the Middle School Platinum section as he drew Victor Dossin rated 1609 in the second round. Then all hope for becoming the national Barber candidate was dashed during the fourth round when he missed a good move for his opponent and he lost to Jack McClain rated 1717. Joshua won all his other games and slid into fifth place. His nemesis and friend Owen McCoy from Eugene won the Barber nomination. Josiah Perkins rated 1880 was the #3 seed drew during the second round against William Adriance rated 1700. Then he lost in the fourth round as well against Venter Simon rated 1791 and drew his final round. He slid into honorable mention. Seth Talyansky from Portland won the Denker nomination. A surprise crept up in the Elementary Cobalt section as Sawyer Bergstedt rated 958 had only two draws and also beat his teammate Riley Jones rated 863 to win second place in his division. He won a huge cup trophy filled with salt water taffy that he shared with his teammates and coach. There were also some fun side events the prior evening. In the Blitz competition (speed chess), Zebadiah Zimmerman Coquille 5th grade won first place in his division. In the Bughouse competition (another fun variant of chess that is fast and made up of teams of two), Riley Jones and Daniel Carter with their team called Four Squares won first place as well as Josiah Perkins and Joshua Grabinsky with their team called Castel Insect-icide. Mavrick Macalino from North Bend won the crazy hat competition. All players gained some valuable experience and want to attend again next year. Other players were Coquille: Jordan Henderson, Bridget Perry, Jordyn Westfall. From Myrtle Point: Margie Harris and Jonathan Padgett. From North Bend Mavrick Macalino. CLICK HERE for USchess crosstable for the event. Next South Coast Chess tournament will be June 24th at LaVerne Park and is open to all players of all ages and experience. It will be a potluck with hot dogs supplied. There is a $5.00 registration fee and outdoor toy prizes for winners. Watch for announcements or check out Coquille Chess Club on Facebook. Questions or more info: Nancy Keller 541 290-8479 or drnancykeller@yahoo.com. Anthony He became Washington State’s youngest ever FIDE Master on February 20, 2017 by scoring 5.5/9 at the 2017 WA State Chess Championship in Redmond. He gained 93.6 points to boost his FIDE rating over 2300. Anthony achieved the title 4 days after he turned age 12. 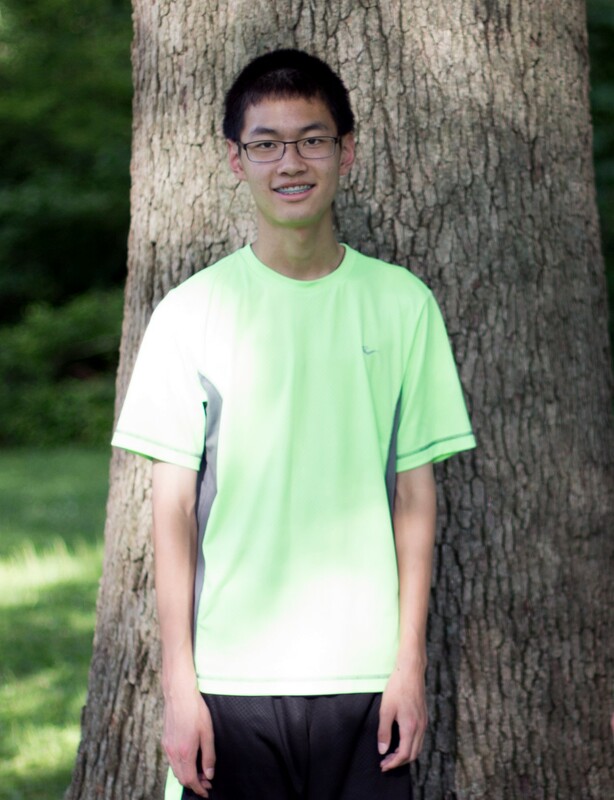 Anthony is currently the US number 1 FIDE rated player in his age group (U-12). Congratulations, Anthony! From Washington Chess Federation Facebook Post. The 2017 WA State Barber Qualifier held on March 11-12 at Chinook Middle School in Bellevue and Seattle Chess Club in Northgate. A little over 100 players took part in 6 sections: K-3U800, K-3U1400, 4-6U1000, 4-12U1400, K-12 U1600, and K-8 Open. The tournament was directed by David Hendricks with assistance from Josh Sinanan, Dan Mathews, and Chouchan Airapetian. For US Chess crosstables CLICK HERE; for Northwest Chess Ratings table CLICK HERE. 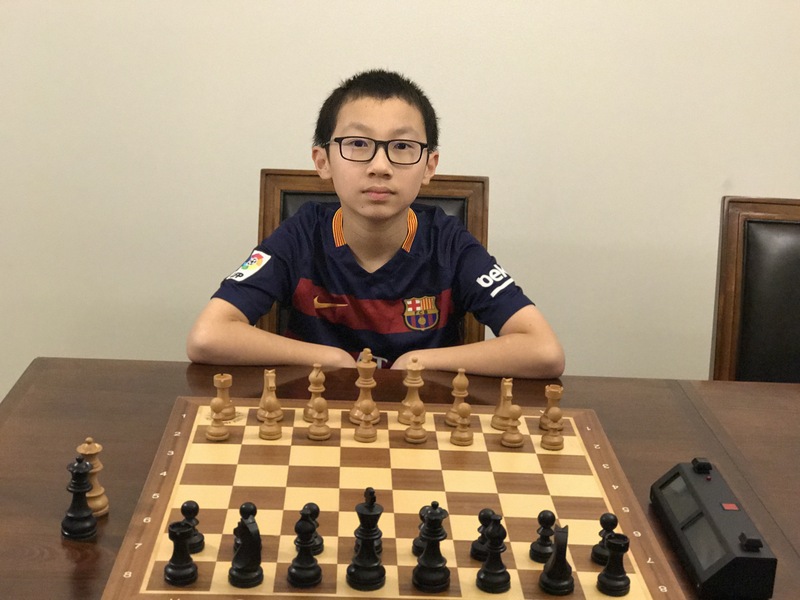 Congratulations to Jason Yu, a 5th grader at Spiritridge Elementary School in Bellevue, for winning clear first in the K-8 Open section with 4.5/5 for the second consecutive year! For his victory, Jason qualifies to represent Washington State at the Barber Tournament of K-8 Champions and wins a $750 travel stipend donated by the Washington Chess Federation. The Barber tournament will be held in Norfolk, VA concurrently with the U.S. Open July 29 – August 6. Three players tied for second place in the K-8 Open with 4 points apiece: Eric Zhang, Owen Xuan, and Advaith Vijayakumar. Congratulations to all of the winners! From a Facebook post by Chess for Success. The first day of the 50th Anniversary tournaments (March 10, 2017) is in the books. K-5 Team winners were: Jacob Wismer Elementary in 1st, four way tie for 2nd (Hope Chinese Charter School, Charlemagne French Immersion School, Glencoe Elementary, and Beach K-8) and a two way tie for 3rd (Sabin K-8 and Westridge Elementary. The 6-8 champions are Roosevelt Middles School and Stoller Middle School. Poynter Middles School was 2nd and there were six teams in 3rd (Hosford Middle School, Astor K-8, Mt. Tabor Middle School, Jackson Elementary, Laurel Ridge Middle School and Ockley Green Middle School. CONGRATULATIONS all of the winners and all of the competitors. Event was held in Portland Oregon. CLICK HERE for a report on KOIN TV. 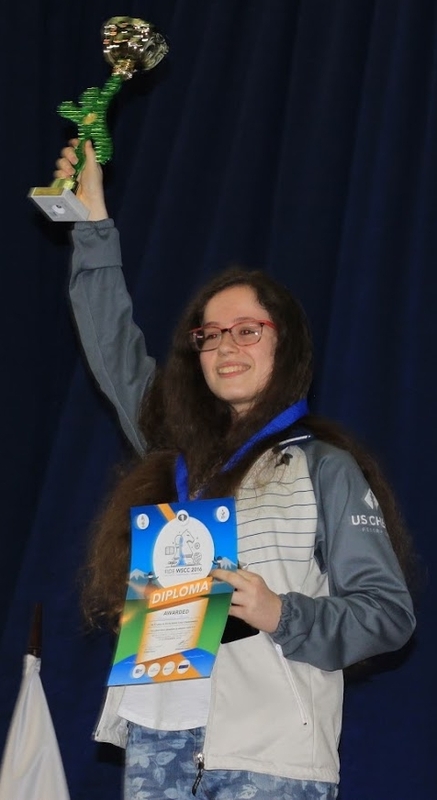 Bellevue 8th grader Naomi Bashkansky wins World School Chess Championship! Naomi Bashkansky has just won the 2016 World School Chess Championship in the Girls Under 13 category, held on December 2 – 12 in Sochi, Russia. With 5 wins (full points) and 4 draws (half-points), she got 7 points in 9 games, and finished in the first place — without a single loss, undefeated. 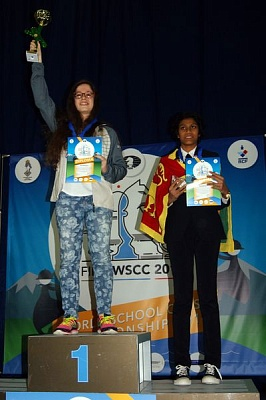 As a winner she is awarded the Woman FIDE Master (WFM) title, and is invited (expenses paid) to the 2017 World School Chess Championship in Romania. Here are the full WSCC GU13 results: http://chess-results.com/tnr251725.aspx?lan=1&art=4&flag=30&wi=821 — note the singular US flag on top! It should also be noted that Daniel Shubin, a 6th grader at Open Window School in Bellevue, participated in the boys U11 section and represented team USA in Sochi. 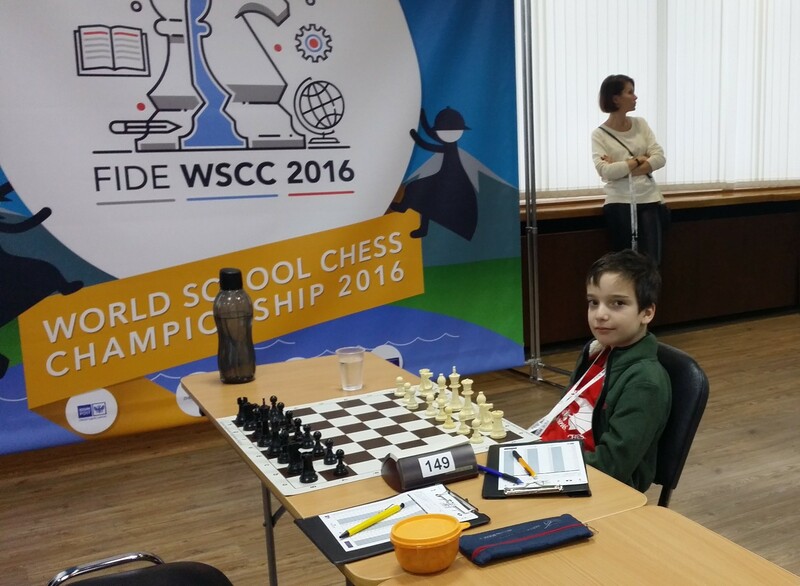 In his first International event, Daniel scored 5 out of 9 (4 wins, 2 draws, 3 losses), an excellent result. He tied for 21 place out of 66 participants, congratulations Daniel! Spokane Chess Club report on Kids Event. Found on Facebook for an event held Nov 19, 2016. Written by the TD James Stripes. Youth chess in Spokane appears to be growing rapidly, judging by the turn-out at the Pilgrim’s Progress scholastic tournament at Saint George’s School, November 19. There were 83 students in grades K-8 representing 24 schools. The size of the event proved challenging to organizers who were set up for 64 players, and they rose to the challenge. It was the largest event, aside from two state tournaments, since 2009. Youth tournaments typically drew 90 players in 2008-2009, but the largest youth tournament in the area in subsequent years had 77 participants. Most events in recent years have drawn in 40-50 players with an occasional event having as few as 30 or as many as 60. The 22 player K-2 section had four kindergartners, the largest number of very young students in several years. Hattie Condon topped players in this grade with 2.5/5. Notably, all kindergarten players had earned points–the bottom two managed three and two draws, respectively. Hattie’s success included wins against one of the other kindergarten students and a second grader. The other K-2 section winners were Tiernan Waggoner (4.5 points), first overall; Creighton Condon (4.0), second place; Adrian Rooney (4.0), third place; Zihan Wang (3.5), first in grade 2; Clayton Ebat (3.0), first in grade 1; and Matthew Hou, upset prize. There were 27 players in grades 3-4. One elected to play up in the K-12 section, leaving 26 players in K-4. Arnav Wadikar (4.5) took home the trophy for first place in the section. Three players were a half point behind. Cole Knapton (4.0) held Arnav to a draw and won the second place trophy on tiebreaks over Paul Michael Leaver, third place, and Ben Barrett, first in grade 3. Tom Albrecht had the strongest tie-breaks among the seven players who finished with 3.5, earning first in grade 4. Per Sande (3.5) won the upset medal, while the others with 3.5 all took home medals: Colby Jessup, Olivia Hilton, Mike Mitchell, Colton Thomas, and Zane Bergsma. Varun Ambalavanan scored a perfect 5.0 to win top honors in the K-12, or championship section. there were 35 students in this section. Five players finished with 4.0: Connor Gosselin-Harris, second overall; Liam Reeves, third overall; Mia Sponseller, top seventh grader; Aniketh Parlapalli, top fifth grader; and Alexander Nicolazzo, who earned a chess book. Also taking home prizes in that section were Noah Kuhn (3.5), book; Eli Mounts (3.5), book; Quincy Hofer, top grade 8; Dylan Boyle, top grade 6; and Ira Morelli, upset medal. The Odyssey Program at Libby won their second team trophy in two events with 16.5 points earned by their top four. Cataldo and Saint George’s shared honors for second place with 14.0 each.